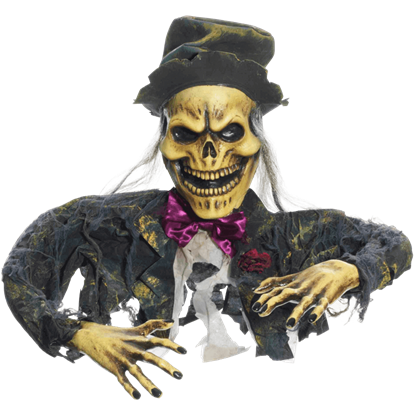 Anyone who looks at this glowing grim reaper will think that death has arrived, although the reason for deaths arrival will remain unknown. 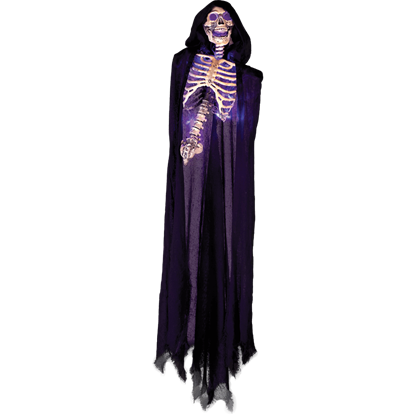 The Glowing Black Reaper Hanger is a large decoration that casts an eerie and ghastly glow. Are zombies supposed to change colors? This one certainly does. 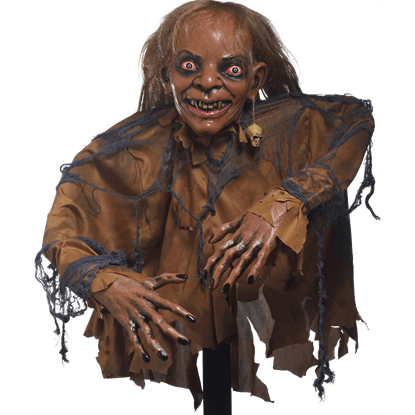 The Glowing Zombie Hand is a novel little decoration that you can use indoors or outdoors to terrify and intrigue all of those who see it. 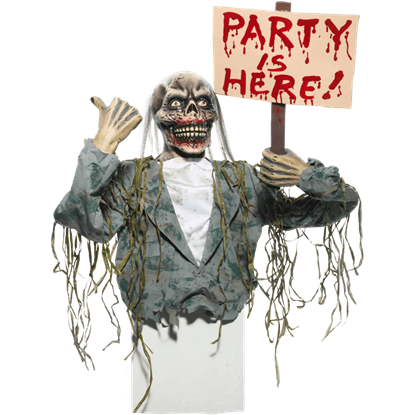 Let the creepy Groundbreaker Party Zombie direct your guests towards the party! This eerie figure is all too happy to sit waist-deep in the dirt, holding a sign with its thumb pointed towards the gathering of tasty, living humans. 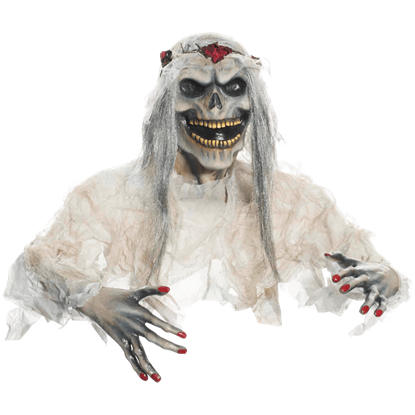 Sometimes, zombies are reanimated because of strange, unknown viruses or infections. Other times, they are horrible experiments gone wrong. 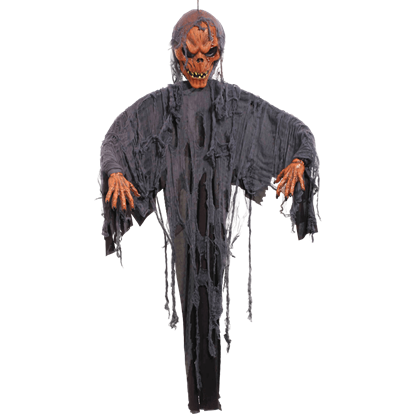 Others, like the Groundbreaker Voodoo Ghoul, are flesh-eating monsters raised by magic. Not all zombies turn before they are buried in their graves. 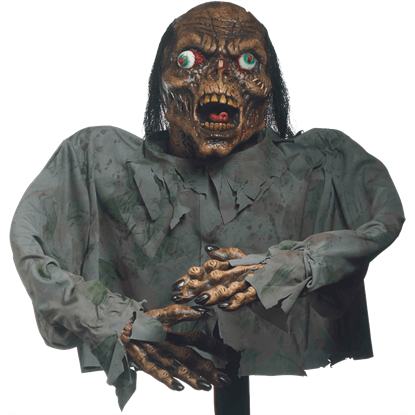 The Groundbreaker Zombie Corpse looks as though it did not turn into a zombie until some time had passed, which is why it now bursts out of the ground. It has been said that a wedding day is the most important day of a womans life. If that is true, this Groundbreaking Zombie Bride is not going to let a little thing like death come between her and wedded life - or unlife, now! Still dressed in his dapper duds, this Groundbreaking Zombie Groom bursts forth from the ground to ensure his arrival to his undead nuptials. It is safe to assume that the groom will utter, Not even after death do we part. 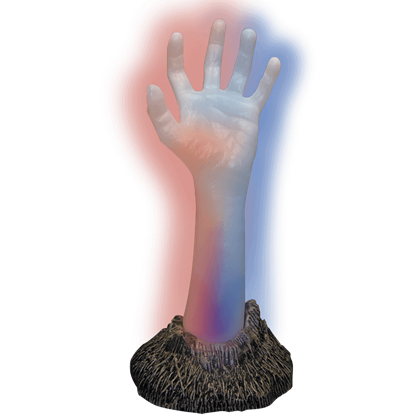 Need a hand? 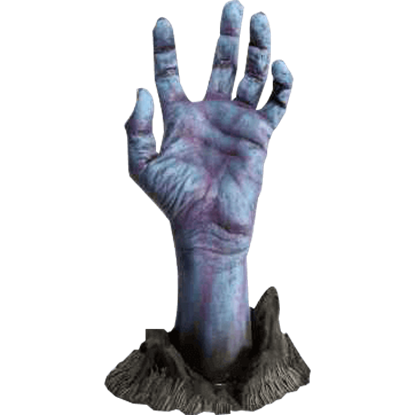 The Groundbreaking Zombie Hand can offer an extra helping hand when needed, although it is help that anyone should be cautious of. The last thing anyone wants is a helping hand to turn into a hungry zombie. Did you think that the haunted woods meant that there were ghosts hiding out among the trees? 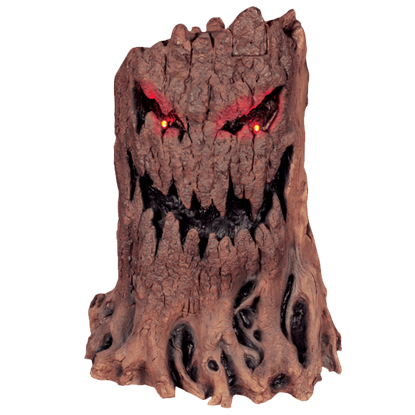 As you can see by the Haunted Tree Stump, that certainly is not the case, as the haunted woods are trees that happen to be haunted! Years of pumpkins being mistreated and smashed have made this orange gourd bitter and vengeful. Trick-or-Treaters beware the Horrible Hanging Pumpkin! This sinister creature has a wicked appearance like that of a pumpkin ghoul. Be prepared for the zombie outbreak with this just-in-case emergency weapon! 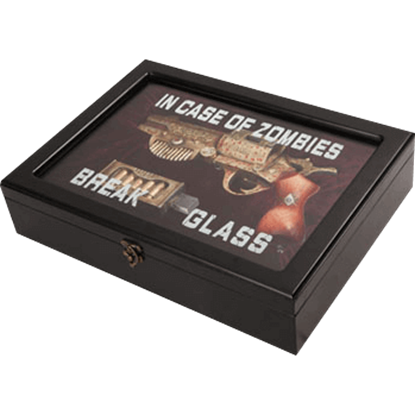 The In Case of Zombies Display Gun includes a decorative gun and a case marked with the words IN CASE OF ZOMBIES BREAK GLASS across the front. Not every corpse you see is guaranteed to be a zombie or a slain zombie. 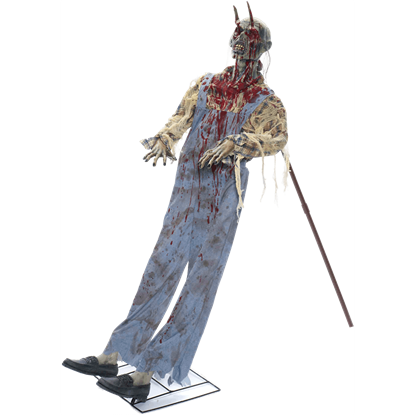 Some, like this Leaning Impaled Farmer Victim, are unfortunate victims who died in the fight against and inevitable flight from the approaching zombie hordes.